7 Feb 2006 Manchester Inventors Group: Tony Ward and Mark Stone Manufacturing Institute "From an Idea to a Manufacturer", Manchester Central Library, committee room, 18:00 - 19:45 (tea and biscuits will be served). 15 Feb 2006 Leeds Inventors' Club: Dai Davis, Nabarro Nathanson, "Making Money from your Ideas" Leeds Central Library, top floor, 18:00 - 19:45 (tea and rather better biscuits than you get in Manchester will be served). that day you can hear me talk to the Manchester solicitors about patents: "All You Are Ever Likely to Need to Know About Patents So long As You Stay In Manchester" Friends Meeting House, 6 Mount Street, Manchester M2 5NS. Dai's talk is free whereas the Manchester Law Society will charge you £58.75 to hear mine. On the other hand, if you are a solicitor you do get some CPD points. Call Donna Brown on 0161 819 1927 or email her at DonnaBrown@manchesterlawsociety.org.uk for details. 17 Feb 2006 Huddersfield Inventors "Brass from Gumption" at the Kirklees Media Centre 14:00 to 16:00, Launch meeting in the Circle Room 14:00 - 15:00 (free tea and biscuits), free patent clinic with patent agent Chris Hemingway from 14:00 to 16:00 in the Business Generator Boardroom (call Ged and Stef on 0113 2478266 or email them at piu@leeds.gov.uk to make your booking and Ged will be giving free patent, trade mark and design searches in my room in chambers at the same time (give them a bell to make the booking). 21 Feb 2006 Ideas 21, CUBE 113-115 Portland Street, Manchester, Peter Raymond MBE, "University Contribution to Inventive Innovation", call Linda on 020 8780 9017 (there is a £20 charge unless you are in Ideas21 in which case you get £5 off but Ideas 21 do throw in some food and drink). 25/26 Feb 2006 North West Inventors Expo 2006 Saturn Centre, Greenbank Technology Park, Blackburn (The Saturn Centre is about as easy to find as Phoebe on a Saturnine eclipse so you will need to email Mark Grogan mailto:markgrogan@fsmail.net or Jim McGovern j.mcgovern@blackburn.ac.uk on 01254 581467 for directions). 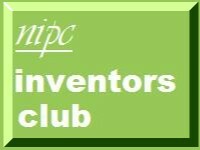 I sponsor Ideas NW (the Blackburn inventors club) to the tune of £120 a year so if you live or work in the area please try to make the effort. These and other events are all listed on the "Events" page of the Huddersfield Intellectual Property website. There are also links to other peoples' events from that page.